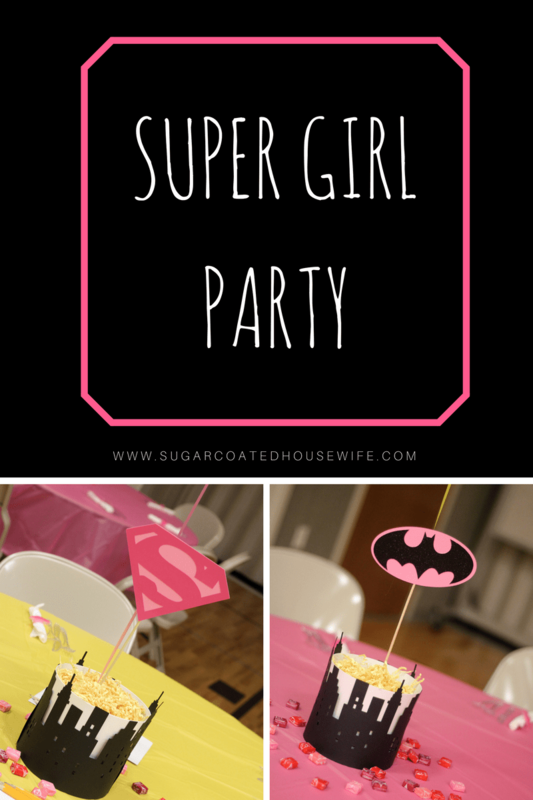 This Super girl party was so much fun to put together!! 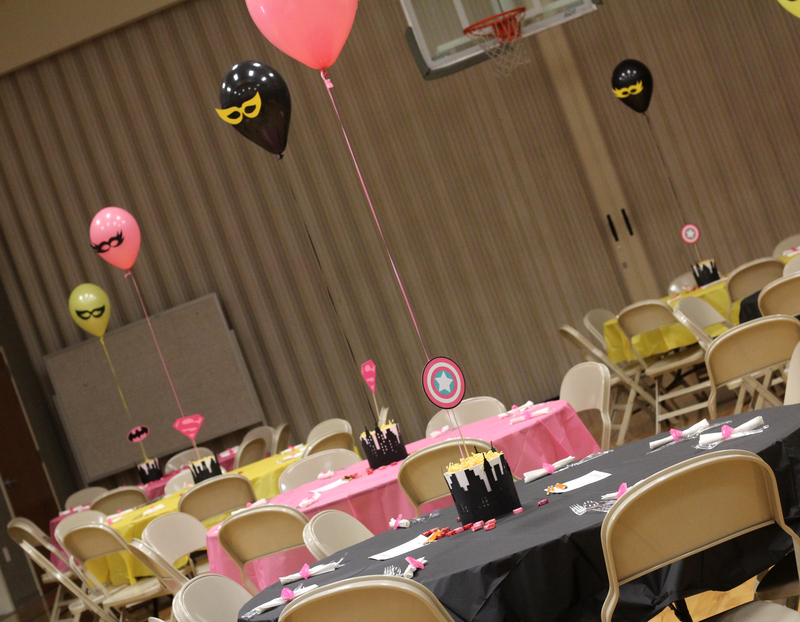 We went away from the traditional color scheme for super heros and chose pink, black, and yellow. 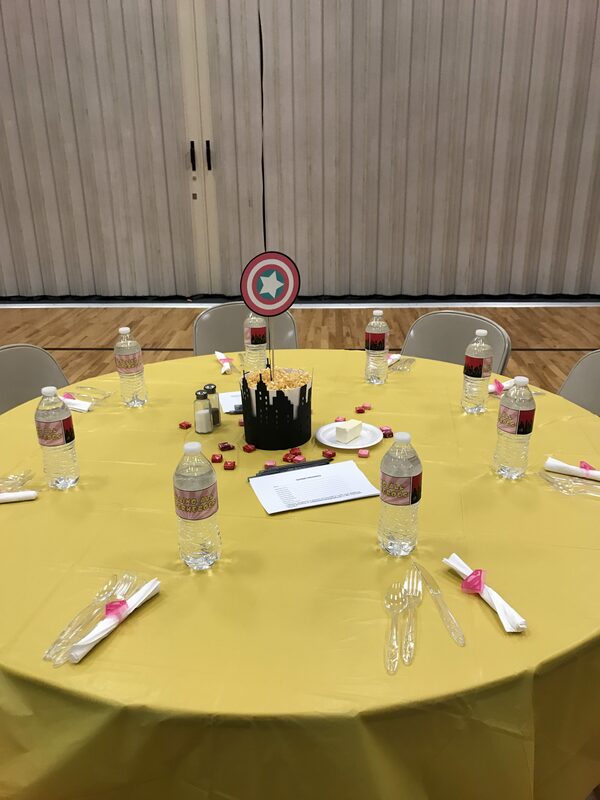 We had 8 large tables and needed some centerpieces. We also wanted to have a photo booth for pictures. 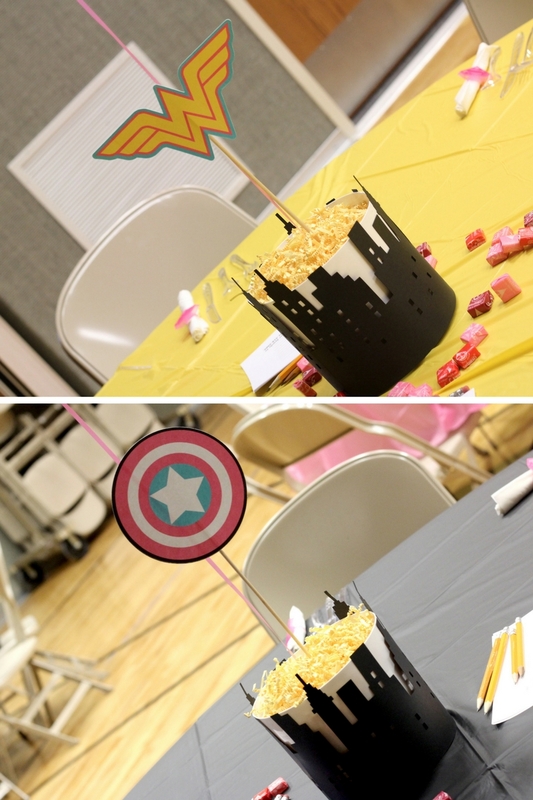 I will show you how to make these city scape centerpieces and all the photo props to help customize your party!! 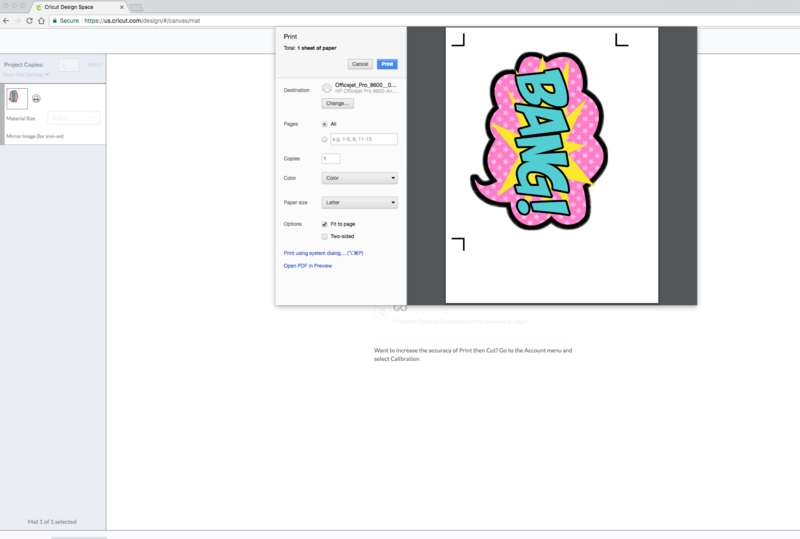 After downloading the images to your computer, you will need to upload them into Cricut Design Space. If you are new to Cricut you may be wondering, How hard is it to upload my own images with the Cricut? It is so easy and simple!! 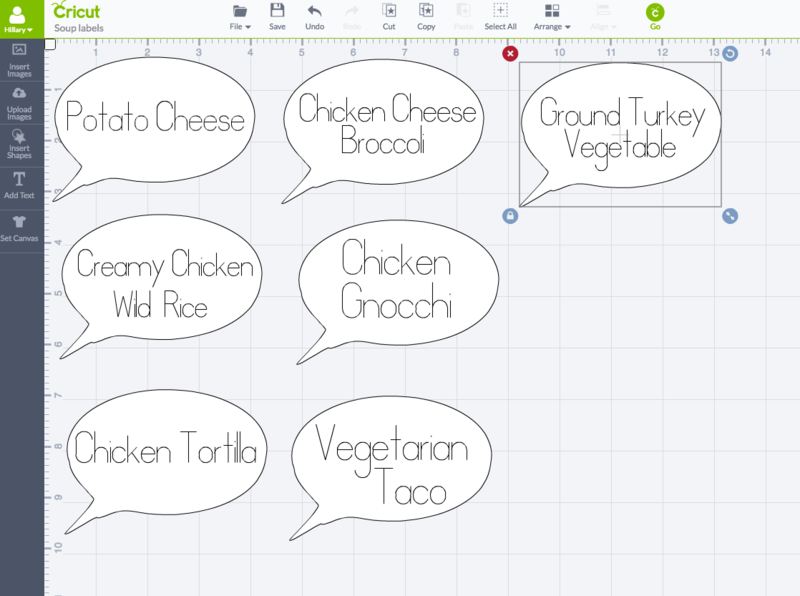 Cricut Design Space is very user friendly and really has all the tools you will need!! I will attach all my imaged at the bottom of this post. I have separated them all individually do it will be super easy to load right into Cricut Design Space for cutting! Lets get started with the centerpieces!! -8 White plastic planters from the Dollar store. -4 bags yellow paper filling from the Dollar store. -20 8.5 x 11 pieces of black cardstock. -8 cardstock masks for balloons. I made 4 different designs. Batgirl, Wonder women, Super girl, and Miss captain America! 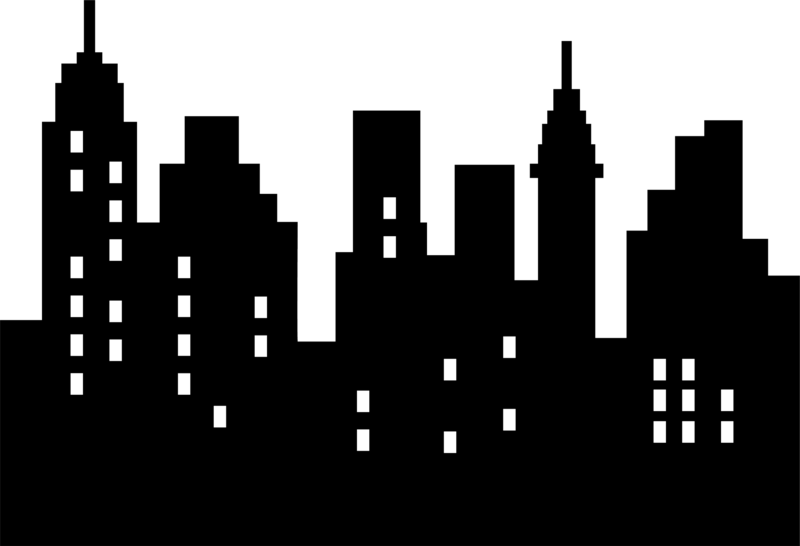 Use this image for the city scape. 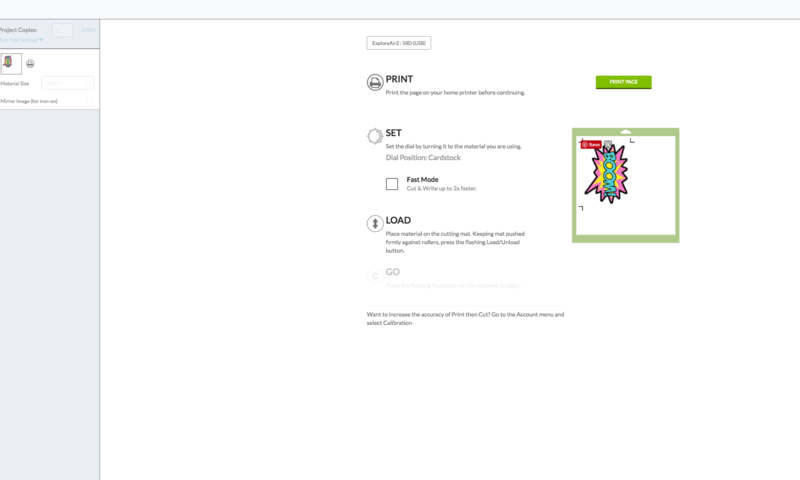 Download into Cricut Design space and adjust to fit your paper. I used 8.5×11 sheets of black paper and used one per page so i made it as big as I could. I purchesed white, plastic garden planters at the dollar store and wanted to wrap the city scape around it i needed 2 per centerpiece. Here are the dimensions I used. If you are using the Ciruct Explore Air 2 make sure and click the fast cut option to help speed things up!! cut out 16 images. 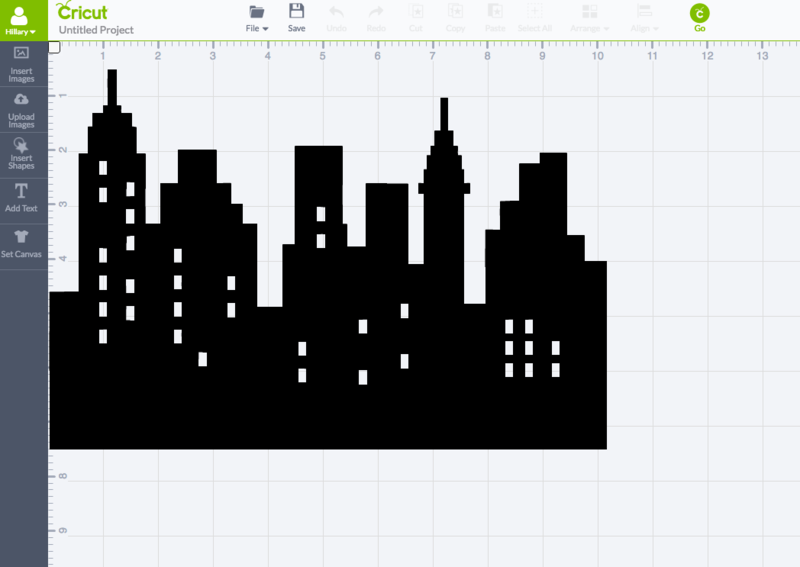 After they are all cut out, attach 2 of them together where the buildings match up. I used glue dots to attach mine quickly. Slide it over the planter. tape down your balloon into the bottom of the planter. I used paper towels to fill the bottom of the plater and then i only had to use half a bag of the yellow paper filling on top. 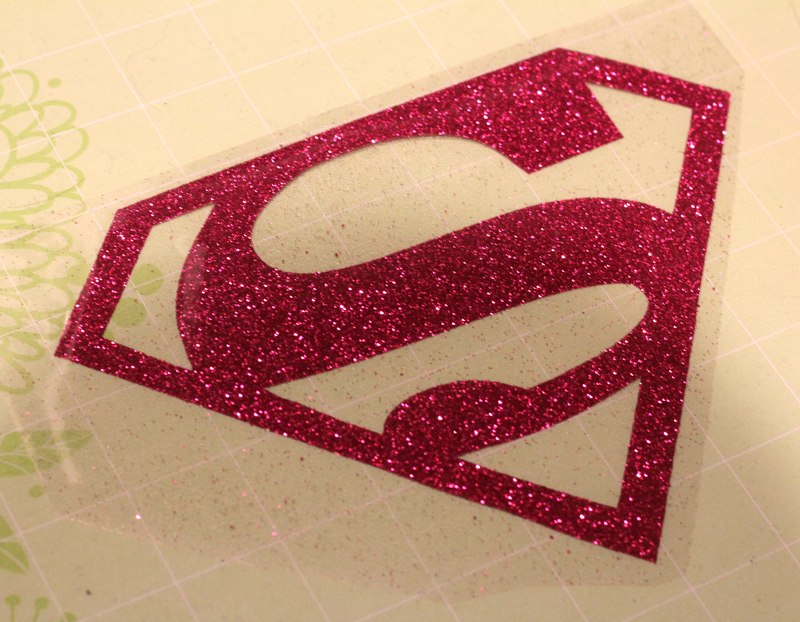 Add your Super girl sign and your done!! Here is the Finished table setting! 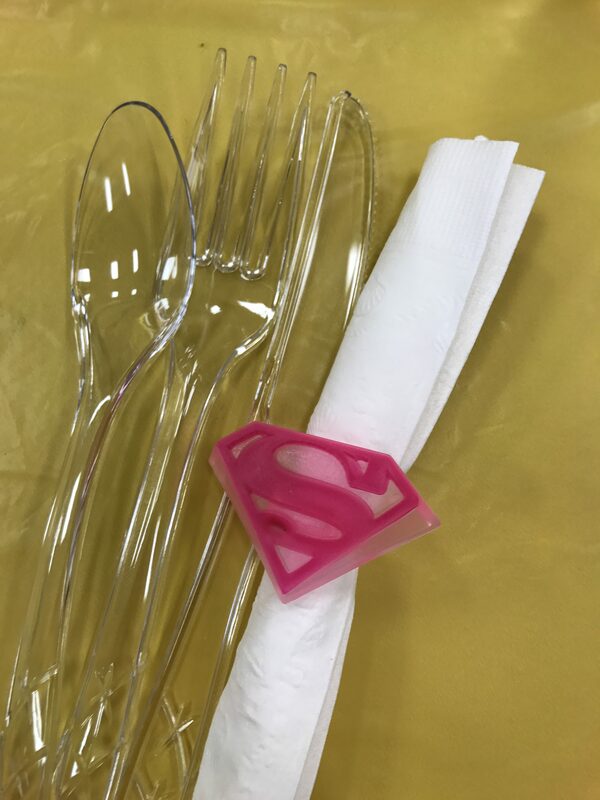 We found these cute Super Girl rings–>HERE to use as a napkin ring and a party favor that they could keep! 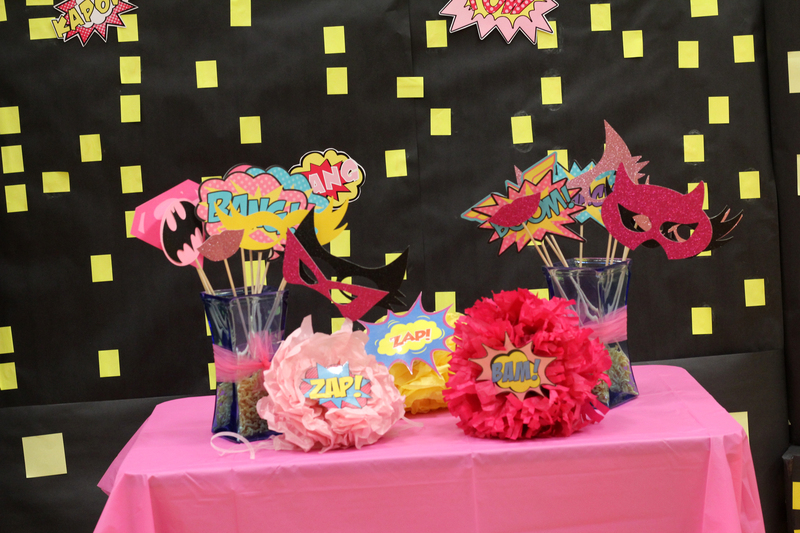 The other main part of this Super girl party was the Photo Booth!! I had some amazing friends make a backdrop by covering giant boxes with blakc butcherpaper and then adding post it nots all over for the windows! so cute!! I made the props for the girls to hold in the photos. 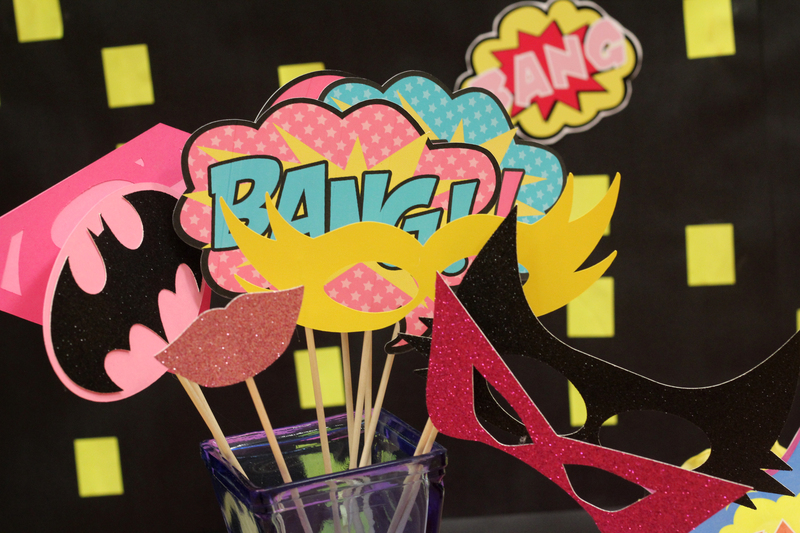 There was a variety of things to choose from masks, lips, super hero logos, and word signs!! 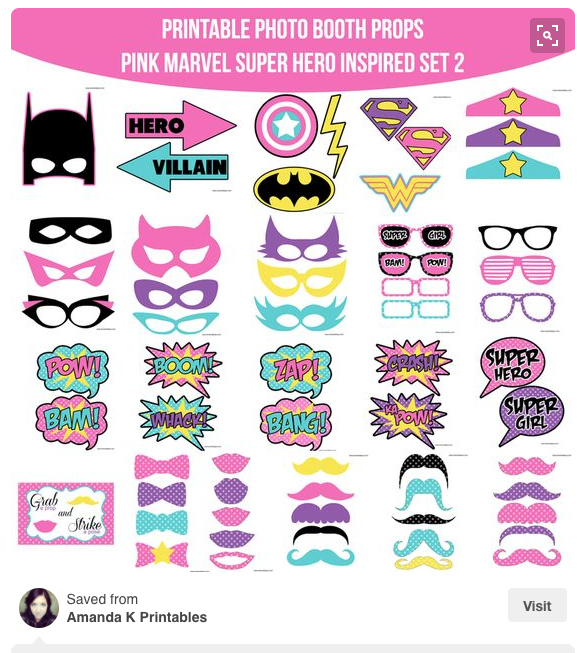 Using the images in the download above, choose how many of each design you would like and the paper you would like each one to be. 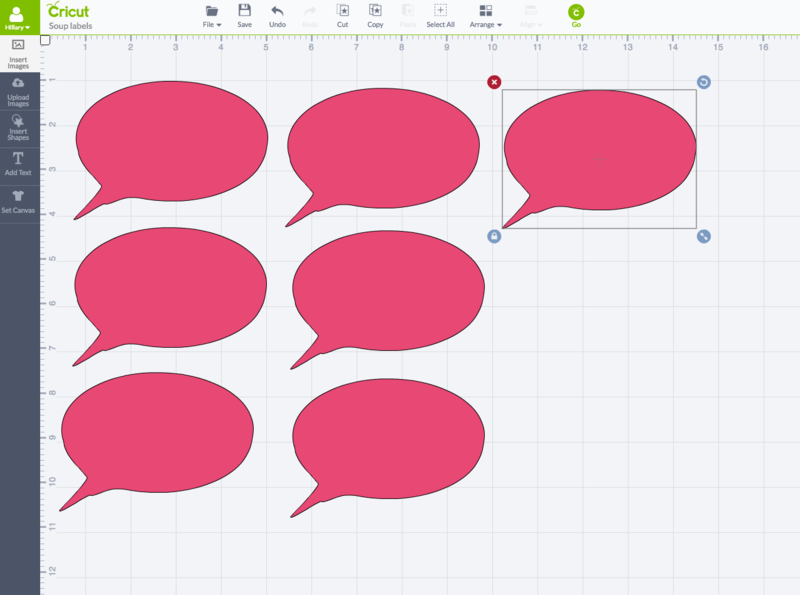 Upload them into design space and adjust to size. here are all the ones I chose. These images were made using the print and cut feature!! You print the images on your home printer and then the Cricut will cut it out!! it is so cool! When I uploaded these images at the end I chose for them to be a print the cut image instead of a just cut image. 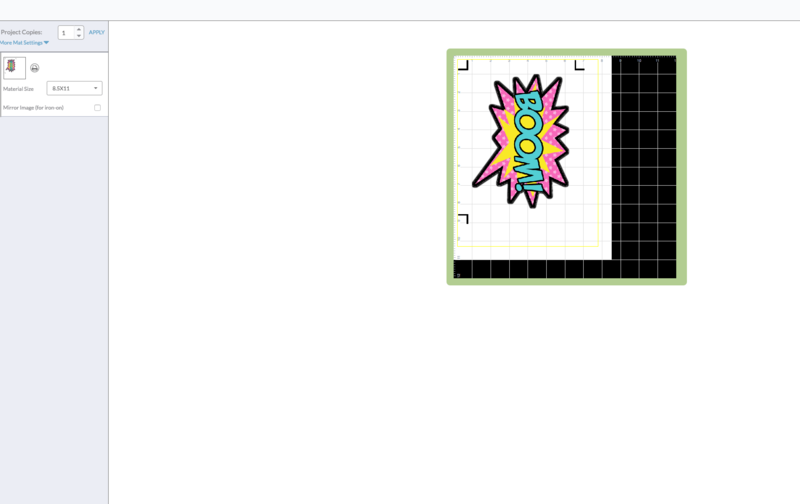 Cricut will prompt you to print the image, when you click GO to cut your project. After you print the image you will place it on the mat exactly like it looks on the screen. Click Print and finish the printing process on your home computer. Place your printed image on the mat just like this. The black lines that have also been printed are the lines that the Cricut will read in order to make sure that it know exactly where the image is placed on the page so it can cut around it! Attach all the masks and other images to skewer sticks using hot glue to ensure that they wont fall off as easy. Look how cute all the images turned out!! I used the Write and cut feature of the Cricut Explore Air 2!! It is such an awesome feature that you can use!! The machine will also prompt you to do this and to insert the pens into the A chamber. 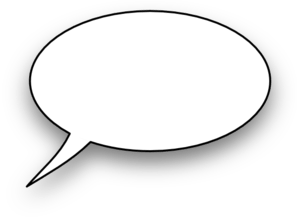 Insert the word bubble image that you download. Add text to each one make sure that it is a hand writing style of font when you choose it. when you have typed what you want and adjusted it to size you will need to attach the words to the bubble so the machine knows which font goes in which bubble and the size. 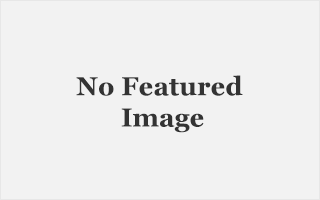 Select both the image and the font and click attach at the top right. Do this for all the other signs. Click Go and follow the prompts. I wanted to add some color so i made another bubble to glue on the back that was slightly larger the the ones with the writing on them. Glue them together. add on a stand and place on food table. for this party we did a “SOUP-er” bar with lots of soup options and toppings!! it was so fun and delicious! 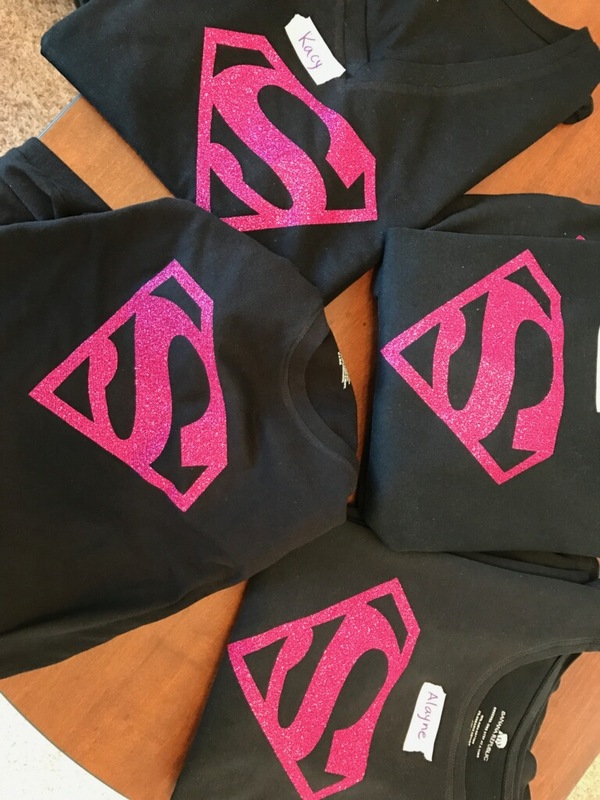 We also had Super girl shirts for the guests!! I made them using the Iron-on Glitter material!! Use this image to download to into Cricut. Weed all the negative after cutting the image out and iron onto shirts!! 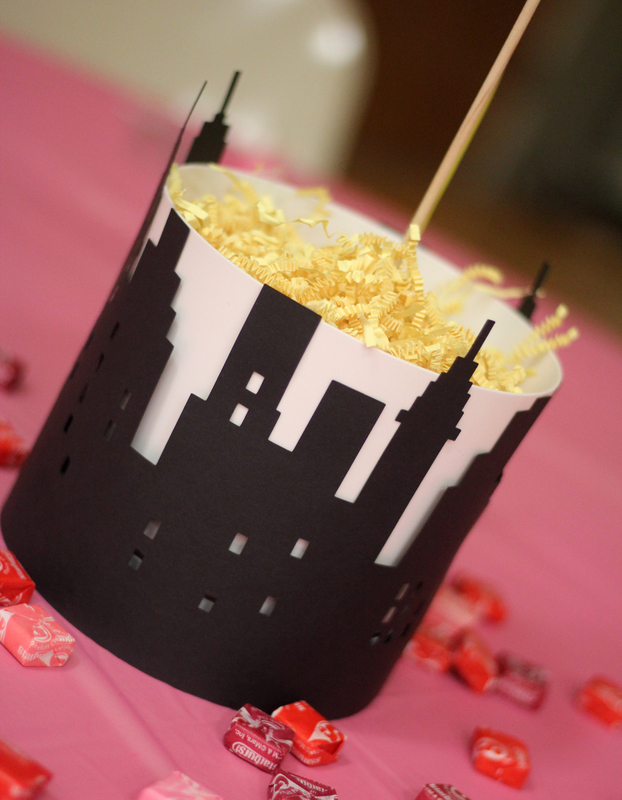 this made for such a fun party favor that they could take home with them!! 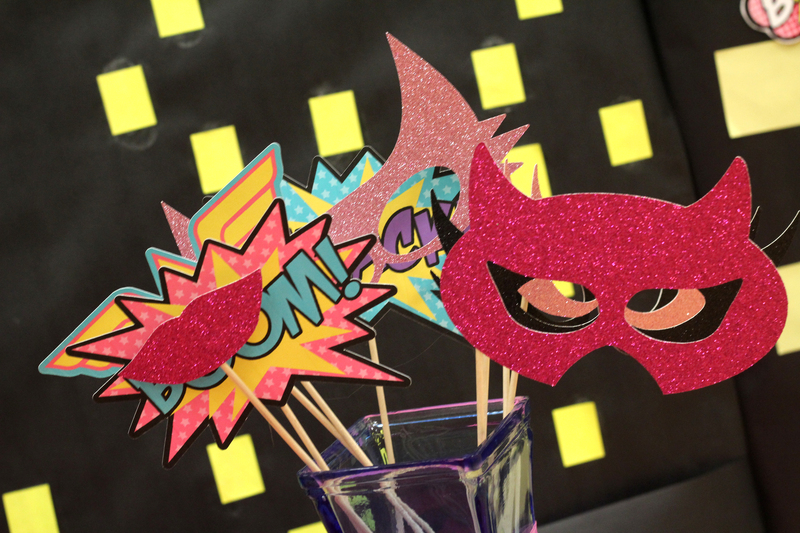 This party was so much fun and I couldn’t have made it all come together without my Cricut Explore Air 2!! If you don’t already have one you can get yours –>HERE I absolutely LOVE this machine and there are so many things that you can make with it!! Next ArticleShop the Nest Boutique!